Finish off your interiors to perfection with a stunning UMAGE feather pendant light. Available in pure white or soft grey, this goose feather ceiling light adds drama to any space, without looking too ostentatious. 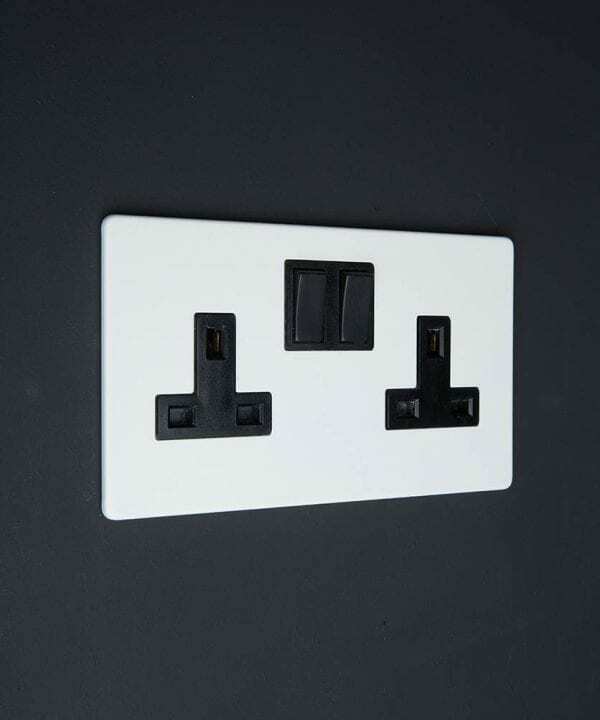 Oh and just wait until you turn it on! The light is diffused so delicately through the plumes of feathers that it looks almost like the sun breaking through clouds. This is one luxurious light. 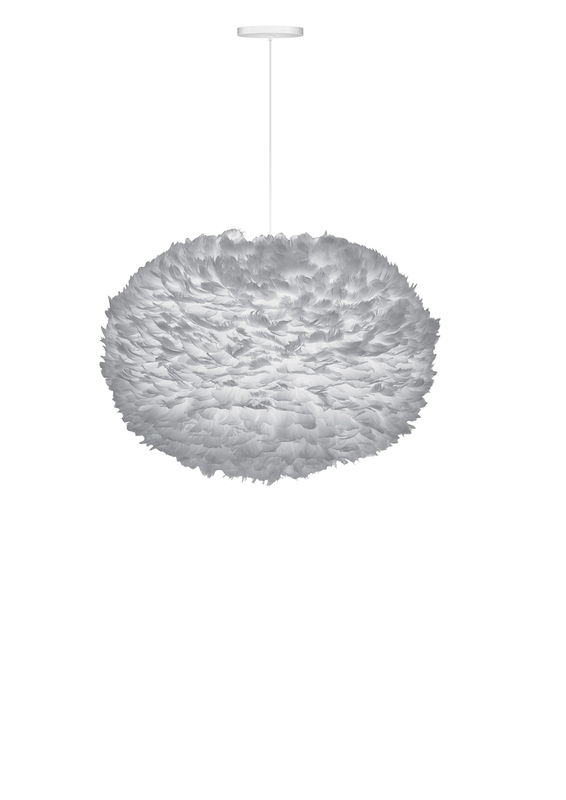 An UMAGE feather ceiling pendant is a surefire way to make an impact in your interiors. Handcrafted from individual goose feathers, this ceiling pendant is a decadent affair that looks amazing in high-ceilinged spaces, or anywhere you want to make a statement. 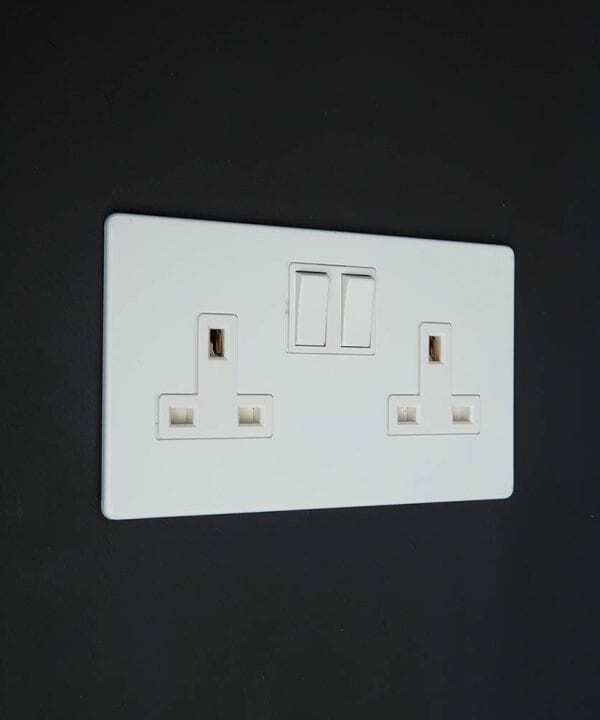 Each luxury UMAGE ceiling light is available in a choice of grey or white, in three sizes; medium, large or extra large. 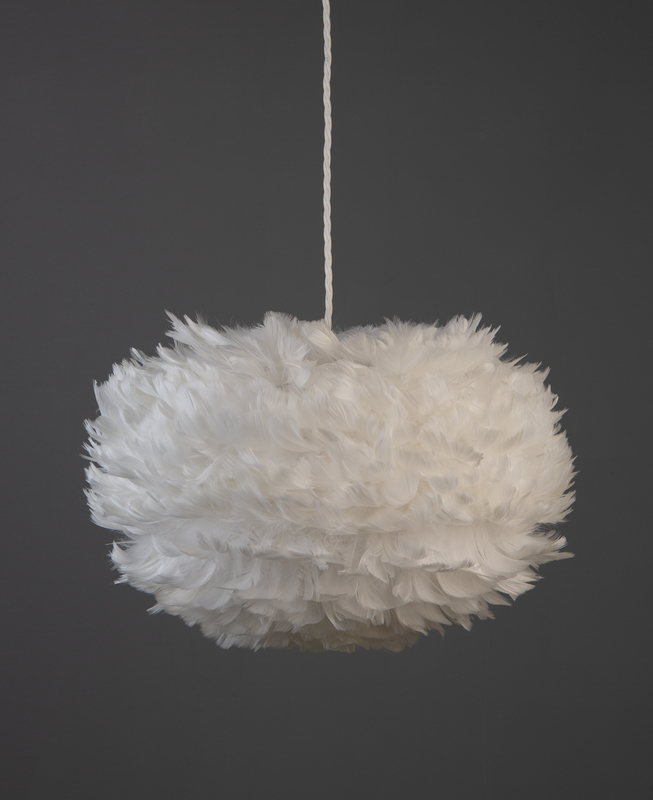 You’ll also receive a chic white cord set to suspend your feather-light shade from. What more could you ask for? 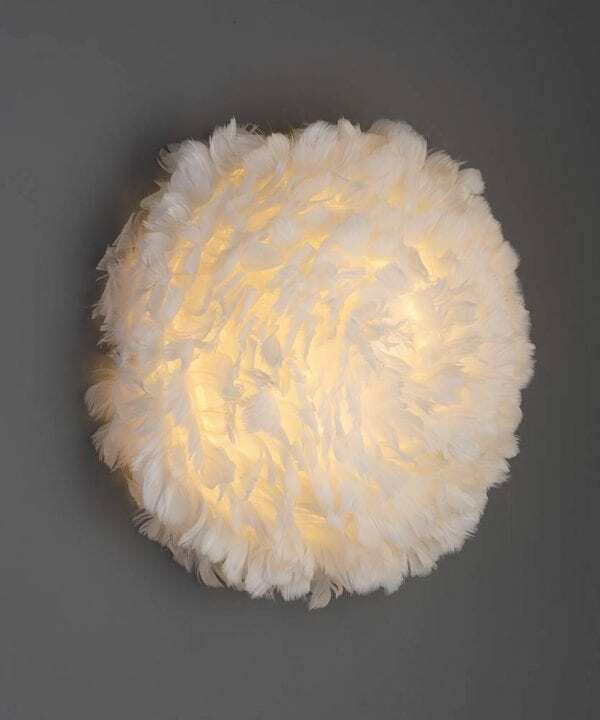 We love this fabulous feather light in ANY space, let’s get real here, it’s a dream light. But if you’re looking for some inspiration, monochromatic tones work beautifully. Show off in a chic white space to add instant texture, or for something a little more dark and dramatic, why not try a dark grey paint. 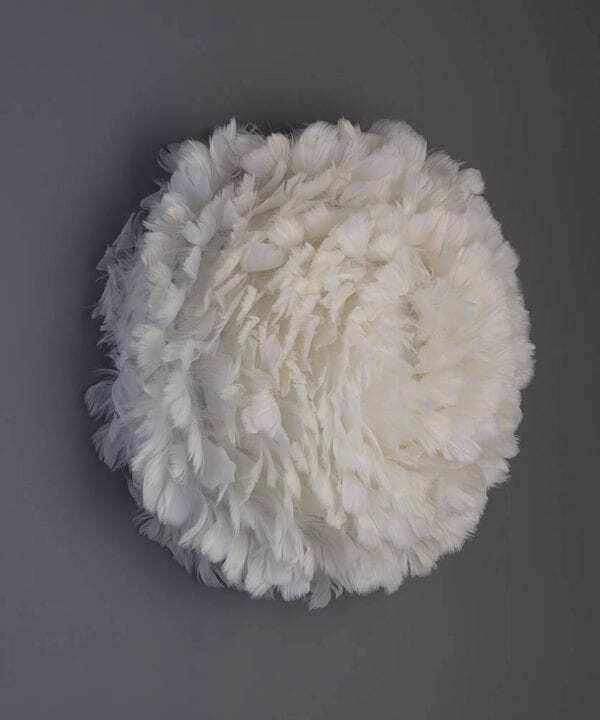 It makes a stunning backdrop for either the white or grey feather pendant light. 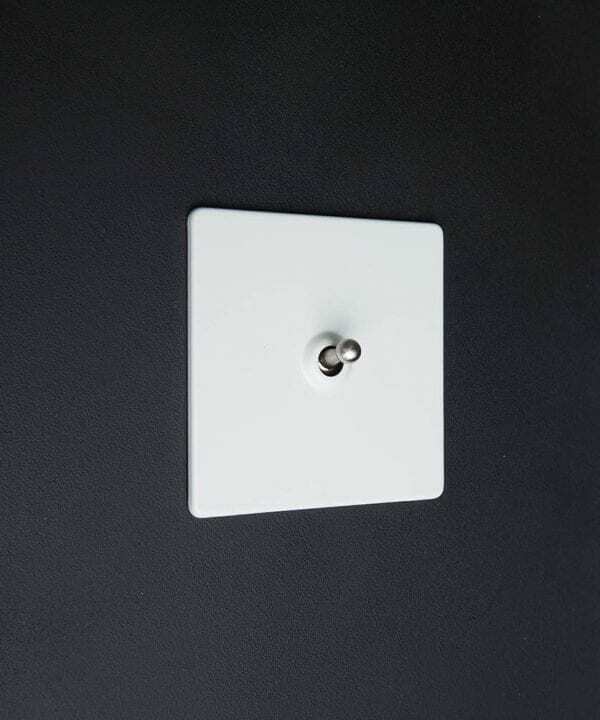 Suspend this light centrally in a living or dining area for instant ambience. Or if you want all out glamour, why not put it in pride of place in your bedroom, where the delicate feathers are sure to lull you into a tranquil sleep. These handcrafted light shades diffuse light so softly that they create the illusion of clouds floating across a dusky sky. 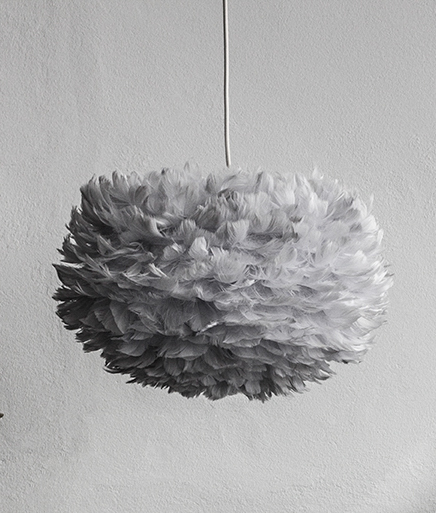 UMAGE feather pendant lights are not just pretty to look at, they’re also environmentally friendly to boot. UMAGE as a company is dedicated to reducing their environmental footprint and as such package their products in minimal packaging. 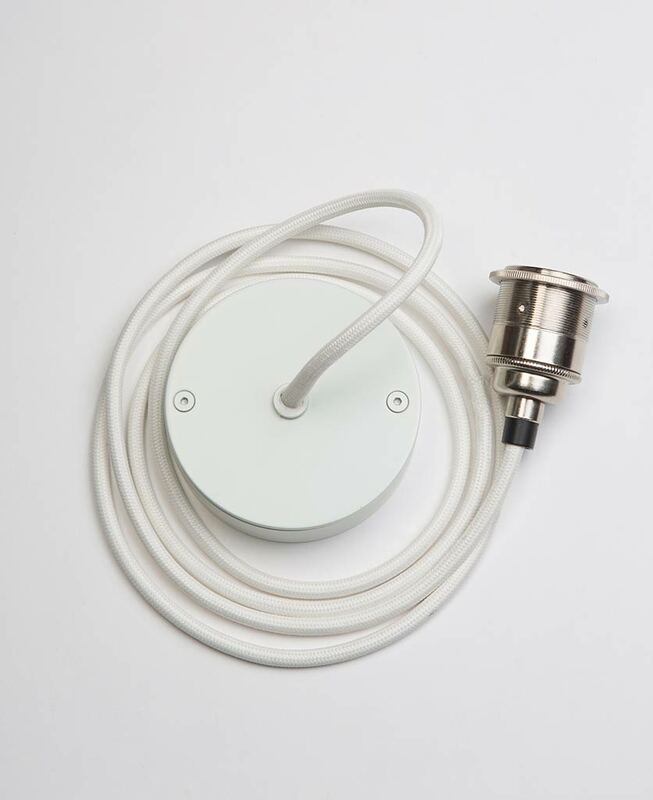 Cord set includes: white ceiling rose, white fabric cable and silver E27 bulb holder. The beautiful thing about a UMAGE feather pendant light is that each shade is handcrafted using individual goose feathers. But don’t worry, it’s a very ethical process, and no geese are distressed or harmed in the making of these shades. The feathers are a natural by-product. The law requires UMAGE to document the origin and proper handling of all geese and feathers.